Time to crystallize your holiday plans? 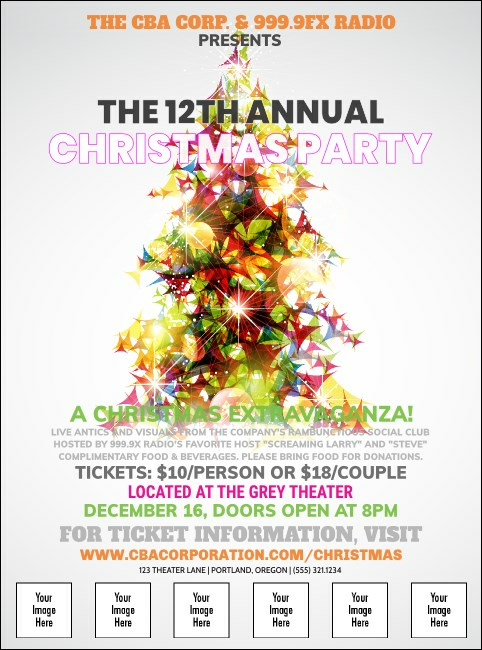 Let the season sparkle with a whimsical design for you Christmas event publicity. This Prism Tree Flyer lets you complement a colorful Christmas tree design with any other thumbnail images you choose to upload from your own hard drive to our easy-to-use ticket template. Color your world with TicketPrinting.com.